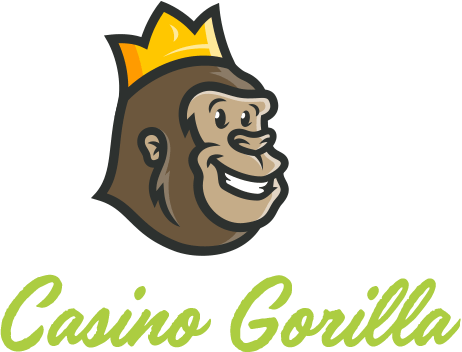 You already know that the Casino Gorilla is always go-getting to find you the very best of information about anything online casino. Recently, he has been eager to blab to you all about online scratch cards after receiving so many inquiries about the same. So he embarked on a voyage to finding you the best, accurate information about the matter. Anything he reveals in here is honest, and you should rest assured that this beady, curious Gorilla face doesn’t leave any stone unturned. Trust this fella for an expert analysis of online scratch cards because he is a ‘know-it-all,’ literally! Scratch cards are instant-win online casino games where you only scratch and match. At some point in your life, you must have come across scratch cards being sold on the street kiosks, vendors, or at post offices—and you may have failed to resist the temptation to take part. In traditional cards, you only need to scratch the ‘playing field’ using a coin (or nail) to reveal the hidden symbols underneath. If you are lucky, you can even be handed you winnings immediately at the vendor or head over to the operator’s offices if the winnings are huge. Online scratch cards are the online version of these traditional forms of scratch cards and are usually played by clicking on designated areas of the ‘online’ card to reveal the information that determines the prize value—but without getting any messy dirt under your fingernail, of course. You only need to choose you wagering stake and scratch away the boxes to reveal the hidden symbols. Online scratch cards come in many forms and tastes and can normally be played in demo mode or for real money. Most casino sites would ornament cards with bright colours, crisp audios, as well as thrilling gameplays to characterise each game. Sometimes you’re afforded the luxury to reveal each square at a time or speed up the entire process and reveal all symbols at once to cash in quicker. Regardless, each game features a distinct pay-table with a number of winning combinations. In most cases, you’ll find free games, multipliers, and single bets for you to scratch, match, and enjoy! Above you can see two examples of popular scratch cards; Lucky Charms and 7UP!. Online scratch cards use random number generator (RNG) to determine the result of the game. As such, this game is purely based on luck rather than skills, tricks, or game plan. The most basic online scratch cards are virtual recreation of their traditional counterparts featuring three lines, each with hidden symbols. It’s really that simple! The second option is where all the fun lies, reverberates the action of the real paper scratch cards. It creates the thrill of gradually uncovering one symbol after the other as you anticipate your chance of winning. The initial option is much faster and gives you the chance to wager faster, giving you more chances to win. To win an online scratch card game, you must at least have three of the same symbols matched on the card. Once you win, the operator will flash the winning combination on your device’s screen. In most cases, the biggest win you can get in this online casino game is 50x your bet. the biggest win you can get is 50x your bet, meaning if you wagered £10 in such a case, you’ll land £500! So if there is a 50x symbol on your card your win be amount multiplied by 50, meaning if you wagered £10 in such a case, you’ll land £500. If 30x shows on your card, you land thirty times your bet. 10x gets you ten times your bet while 1x gets you the exact amount of cash you bet. Getting the math? The Gorilla hopes you do. Keeping an eye on your budget—it’s the wisest advice in any form of gambling. Keep a close look at your funds and make certain that you never bet more than you can afford. Playing for fun—to avoid spending more than you can afford, it is crucial to play just for fun. Gambling should never be used as a means of generating income. Instead, it should be viewed as just another form of recreation or leisure activity. Stopping while it’s still fun—never feel the urge to reclaim the money that you’ve lost during your gaming session. It is important to know when to stop, whether you’re winning or losing. Again, the rationale behind online scratch card should be fun! Taking advantage of special offers—a good way to enjoy online scratch cards is by taking advantages of a range of special offers normally afforded to you by the casino. The welcome bonus should always be an ideal way to introduce you to the world of online scratch cards. Developing a gaming strategy—yes, online scratch cards are purely based on luck, the randomness, but you can as well develop a gaming strategy to manage your bankroll. For example, after a successful gaming session, you can increase your betting stake or drop down to smaller amounts when you’ve had unsuccessful spells. Reading the rules—online scratch cards may appear somewhat straightforward and simple, but gaming rules are still worth checking out to completely understand how the game works. Remember, rules may vary from one casino or game variant to the other, it’s wrong to assume you know how a game of scratch works before you double-check with your online casino site. Keeping it simple at first—although most online scratch card games are run in a similar way, some variations may be complicated depending on the casino. It is crucial to keep it simple, especially if you are new to this type of game. Wait until you are well-versed and confident to try out more advanced versions of online scratch cards. Avoiding mixing gambling with alcohol—this is usually a recipe for disaster! Never should you mix playing online scratch cards while under the influence of alcohol or drugs. Intoxicants can massively affect your judgment leading to irresponsible gambling. Morphing the traditional scratch card games into playing online means moving away from the satisfying and thrilling process of actually…scratching. Brushing away the silver veil and revealing the winning match certainly has its appeal. However, nothing compares to the convenience afforded to you by the online casinos. You don’t need to get off your couch to head to your local post office to get your scratch card. Whether it’s online scratch cards or any other online game for that matter, it’s always important to check whether the casino you intend to place real money bets is fully licensed and regulated. Without close control and regulation, the online gambling industry would turn into a “wild west,” and as a punter, you wouldn’t be able to get what you really want—a safe and reliable gambling experience. While having a license is not enough to warrant an operator’s legitimacy, not having one is a sure red flag. In the UK, casino sites are regulated under the license of United Kingdom Gambling Commission (UKGC). UKGC is known for its sophisticated regulatory rules and enforcing systems that uphold safe, fair, and responsible gambling. Before you go on playing online scratch cards, ensure that you are safe by checking you casino’s regulation and licensing status. Besides the in-game aspects (such as game-play features, animations, sound plays, etc. ), you should always consider the bonuses a casino offers for its online scratch cards offerings. Check whether the operator’s welcome bonus allows you to rack the required wagering requirements by playing scratch cards. Can you use the bonus offer on such games? Further, is the loyalty program (if any) consider scratch card fanatics? A reputable, top-rated casino will always include this in its casino giving and goes on to include the terms of this offer in its terms and conditions. If a casino features scratch cards in its game weighing percentages, then it should be a good place for you to start your online scratch cards adventure. Here, you will be tasting what the game is like live without first risking your hard earned cash. Even better, if a casino rewards you with free bets, cash-backs, or any other forms of perks on its regular promotions or loyalty program to play on scratch cards, it should be high on the list of casino sites to consider. A genuine and safe online scratch cards casino shows evidence of its fairness of games. As aforementioned, online scratch cards are fully dependent on randomness of games afforded by the RNG. To ensure that the games are completely and genuinely random, independent auditing institutions are employed to run tests on games to verify reliability and trustworthiness. Lack of games certification badges on a casino’s site should also be considered as enough red flag. This goes without saying, a casino plagued with player complaints and other forms of scandals should be avoided at all costs. The best place to play online scratch card should be safe, fair, and reliable enough to ensure that winnings accrued, whether small, huge, or jackpots, are paid out without any issues or delay. Rogue casinos are normally flagged out on the web, so it’s easy to come across an operator that doesn’t pay out winnings, changes its bonus terms without notice, or closes players’ accounts without viable reasons. If you encounter any problems playing online scratch cards, you’d want a casino that is able to resolve the issues within the shortest time possible. Unreliable casino sites will normally avoid giving out the necessary details on how to get in touch with the customer support. This is enough an indication that such a casino doesn’t have users’ best interest at heart and should, therefore, be avoided. You should also be wary of casinos that do not display ownership or management details to satisfactory levels. Go for a casino that provide enough ownership details, multiple phone-numbers (preferably toll-free), various email addresses, live chat functionality, and a resourceful FAQ section.